Most sights in Rome don't require a lot of advance planning (unless, of course, you'd like to skip the lines at the Colosseum): the sweeping piazzas, imposing churches, characteristic neighborhoods, and even the Trevi Fountain just involve showing up. 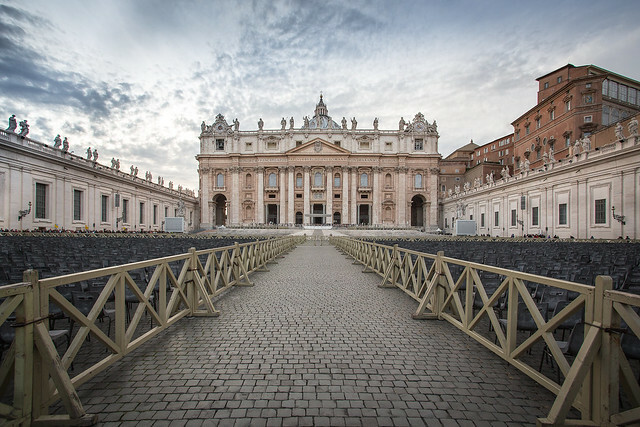 An exception to that rule is the Vatican, including the museums, Sistine Chapel, Saint Peter's Basilica, and, for the devout or simply curious, Pope (in the form of a public audience). Here, because of the sheer numbers of visitors, massive size of the place, and ticket logistics, a bit of advance planning and insider information can make the difference between an unforgettable visit and a day spent standing in lines or staring at the backs of thousands of heads. 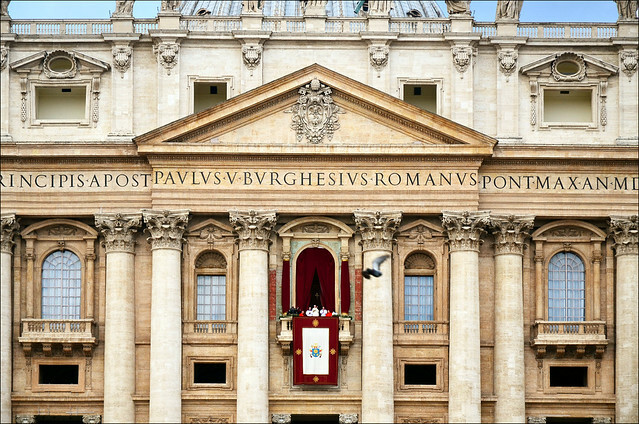 Here are our tips for a simple Vatican visit and participation in a Papal audience. 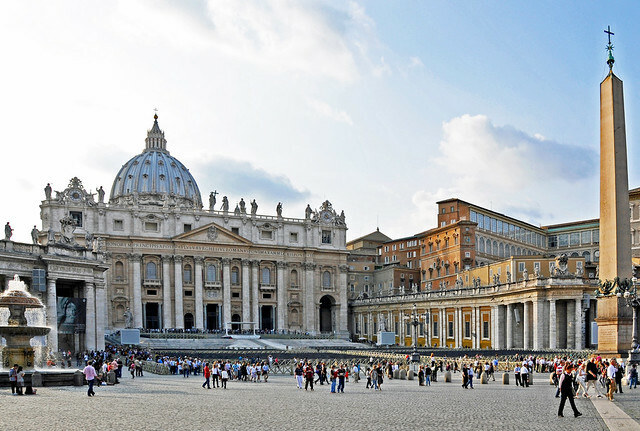 By far the best way to visit the Vatican is with our private car and guide, which not only whisks you there and through the lines in mere minutes, but also guarantees that you'll be seeing this breathtaking monument and its treasures with the right historical and artistic context to appreciate (and remember) it fully. 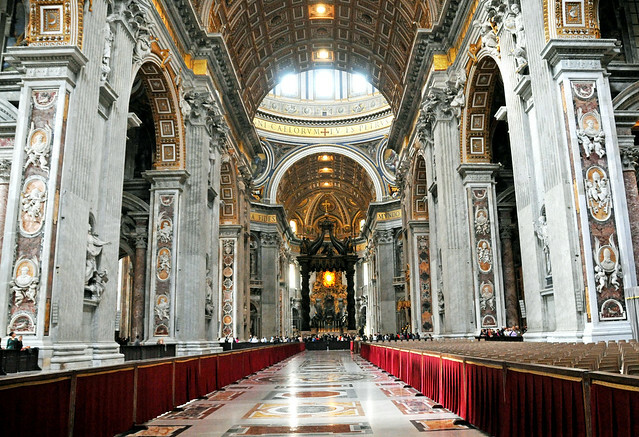 Saint Peter's Basilica: Visiting the Basilica (and the sweeping square) does not require a ticket, so travelers can simply show up between 7:00 AM and 7.00 PM, April to September or 7:00 AM and 6:00 PM, October to March and wander through. There is a security check, which all visitors (including those accompanied by a guide) must pass through, but it generally moves quite quickly. Once you are inside the security check, you can decide if you'd like to climb to the top of Saint Peter's dome (designed by Michelangelo) for a bird's eye view of Rome. You can take the elevator to the roof level, where there is a catwalk along the inside of the dome with dizzying views over the main altar, but to reach the outdoor cupola you must climb stairs...200+ steps, so be prepared to pant a bit. The dome is open daily from 8:00 AM. to 6:00 PM April to September and from 8:00 AM to 5:00 PM, October to March. The entrance is at the portico of the Basilica, and tickets are €5 if you climb the stairs all the way up, or €7 if you opt for the elevator to the roof level. The museums are open weekdays from 10:00 AM to 1:45 PM, November to February (excluding the Christmas holidays, during which opening hours are from 8:45 AM to 4:45 PM), and from March to October, weekdays 10:00 AM to 4:45 PM and Saturdays 10:00 AM to 2:45 PM. Remember when reserving your tickets that the last entrance to the museums is one hour and 15 minutes before closing time. Tips: Proper attire (which cover shoulders and knees) must be worn by both men and women in both the Basilica and the museums (remember that the Sistine Chapel is a religious site), so make sure you have dressed appropriately or you will be turned away at the doors. Visitors must pass through metal detectors at both the Basilica and the museum. Large bags and backpacks, umbrellas, bottled water, video cameras, and knives or scissors must be checked at the security check-points. Photos are permitted in the Basilica and museums, though without flash. 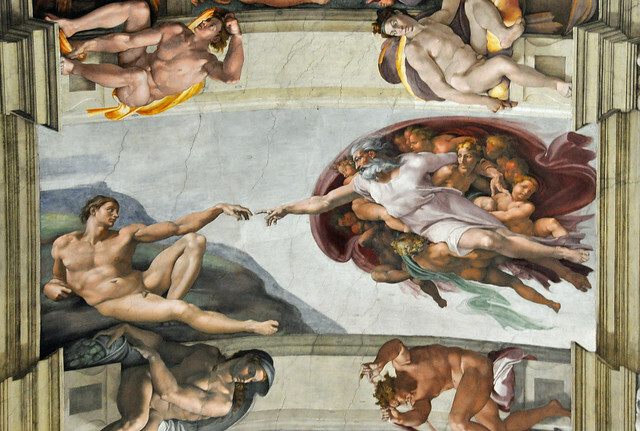 Though it is true that the last Sunday of each month the museums can be visited free of admission charge, we strongly advise against visiting on those days because of the throngs of visitors that invade the galleries and Sistine Chapel that day. 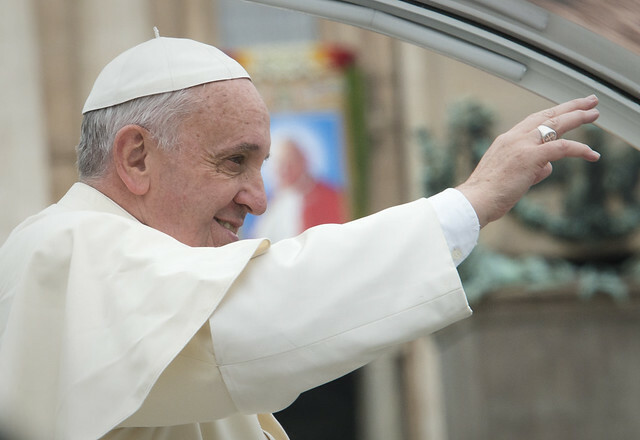 There has never been a better time to see the Pope, as the new(-ish) Pope Francis continues to skyrocket in popularity and fame. However, participating in a Papal audience takes a bit of preplanning, so read on to book your Papal sighting. General Audience: Pope Francis, like his predecessors, holds a general audience weekly in St. Peter’s Square. Each Wednesday at 10:30 AM, the Pope rides through the crowded square in the “Popemobile”—stopping often to kiss babies, so if you have a baby, work it—before presiding over an hour-long multi-lingual service. You must have a ticket (which is free) to attend this audience, which you can request by fax (yes, fax) at the Prefecture of the Papal Household. Tickets can be picked up from the ticket office located just inside the Bronze Door (by the right colonnade of St. Peter’s Square) between 3:00 PM and 7:00 PM on the day preceding the audience, or on the morning of the audience from 7:00 AM to 10:00 AM. You can also reserve tickets by emailing the U.S. Bishops’ Office for United States Visitors to the Vatican or filling in the online form at the Church of Santa Susanna website (though here you can only reserve tickets for audiences in the two weeks following the request). Tips: These audiences are very crowded (and often over-booked), so plan on being at the Vatican in line to enter the square at the crack of dawn (gates open at 8:00 AM, so be there at least an hour earlier, if not more). There are many more people than there are chairs, so once you are through the gate run, don't walk, to the sections with chairs. (Don't be shy; you'll notice most people sprinting to find good seats.) You will be waiting for the next few hours, so you want to be comfortable. Get the closest seats you can nab, but ones that also have a view of the giant screens placed around the square. Remember the dress code and security checks (see above), and also make sure to dress for the weather since you'll be spending the entire morning outside under the sun or rain. If you'd like to have a rosary, medallion, or other religious item blessed by the Pope, bring it along. Pope Francis closes each General Audience with an Apostolic Blessing on the public present, which extends to any religious items they have with them. Newlyweds (within two months after being wed) are seated in a special section, so bring your wedding certificate with you if you are on your honeymoon. Angelus Address: If you aren't able to attend a General Audience but are in Rome on a Sunday at noon, you may still be able to see the Pope and receive the Apostolic Blessing. When in residence, Pope Francis appears at the window of the sumptuous papal apartments (where he has elected not to live) and leads the faithful below in prayer and a Gospel reading. If you want a spot near the front, you should arrive in St. Peter’s Square early, but these appearances don't require a ticket and are significantly less crowded (as the Pope doesn't actually drive through the crowd as he does during General Audiences). Liturgical Services: During the year, the Pope celebrates Masses for Solemnities and other special occasions, including Christmas Eve, Palm Sunday, Easter Sunday, and canonizations or beatifications. You can check the calendar here or here and reserve free tickets through the same site.